I don’t climb mountains simply to vanquish their summits. What would be the point of that? I place myself voluntarily into dangerous situations to learn to face my own fears and doubts, my innermost feelings. In interviews, in this book, in about anything I have read or watched featuring Reinhold Messner, I always thought he comes across as self-righteous, arrogant, unsympathetic seeker of attention. Love or loathe Reinhold Messner? I can’t bring myself to do either. I do, however, have a lot of respect for his feats as a climber. And this is what this book, Everest: Expedition to the Ultimate, is about – Messner’s motivation to climb mountains and his one of his incredible adventures: the idea to climb Mt. Everest without the help of supplementary oxygen. Is it really possible to climb the highest mountain in the world without any help from oxygen apparatus? That is the question. Many doctors don’t think so. A large percentage of expedition climbers agree with them. After the West Ridge had been climbed, and the North side, and the South-west Face, as well as the normal route, the problem of a ‘fair’ ascent still remained, to storm the summit without masks. And I wanted to be the person to do it, together with Peter Habeler; we wanted to attempt to climb Everest ‘by fair means’. 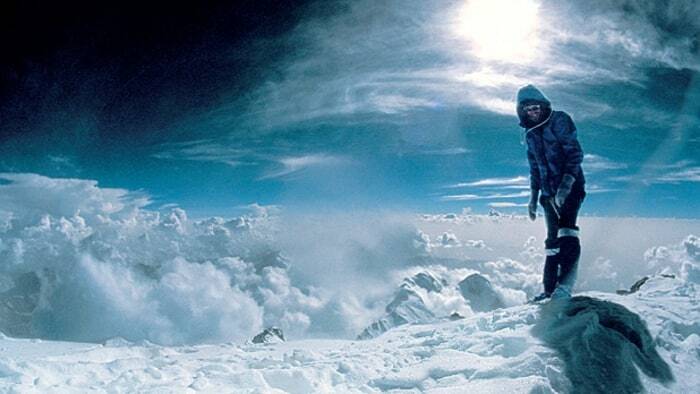 Everest: Expedition to the Ultimate is based on the notes Messner took during the expedition, and chronicles the history of previous expeditions as well as the expedition that saw Messner and his long-term climbing partner, Peter Habeler, manage to be the first to climb up without supplemental oxygen in May 1978. I read the translated version which also contained an introduction by Messner – the translation was atrocious. Really horrible. The flow of writing read like it had been put through Google Translate, which did not make sense in parts. I have a hunch that it would make even worse reading for someone not familiar with German syntax. In addition, the book really needed an editor. Messner’s introduction included passages that seem to have been taken from articles written about him, but not by him – unless, he intentionally chooses to speak of himself in 3rd person. This did not make sense. The book also includes excerpts from the notes of previous expeditions and other books which are not set off from the rest of the text. This makes them look like a part of the author’s narrative – even though they aren’t. During the walk in to Base Camp I frequently asked myself why Peter and I should want to climb Everest without oxygen. The reason does not lie in a pure mountaineering or sporting purpose. To be able to explain this I had always to turn back to history and say that in the first 200 years of alpinism, it was the mountain that was the important thing. During this time it was the summit that was conquered and explored, that was the unknown that man attempted to reach by any means, employing any techniques. But for some years now and particularly on my own tours, it is no longer the mountain that is important, but the man, the man with his weaknesses and strengths, the man and how he copes with the critical situations met on high mountains, with solitude, with altitude. My expeditions have thus enabled me to draw closer to myself, to see into myself more clearly. The higher I climb, the deeper I seem to see within myself. But were I to put all sorts of technical gadgets between myself and the mountain, then there would be certain experiences that I could not feel. If I were to wear an oxygen mask, I should be unable to know exactly what it means to climb at heights of 8,000 metres or more, what it feels to struggle against the body’s resistance and to endure the loneliness of being totally beyond the reach of help. Despite all of its short-comings, tho, the draft-like quality of the book also has a rawness to it that makes the book quite credible. I ask the Sherpas for a mug of hot tea, and at the same time keep an eye on my sauce, which is beginning to thicken, to make sure it doesn’t burn. The onions are too dark, I notice. This is probably because they were frozen solid when they went into the hot fat, I think. Ang Phu, the Chief Sherpa, sits now beside me and eats potatoes. To get the noodles al dente at 5,340 metres is a real art. A minute too long and they turn into a soup. What I liked best tho was when Messner reached the top of the world but waited for his sherpa guide, Ang Phu, to catch up so they could climb the last few steps together. When his climbing partner, Habeler, made his attempt at the summit a day or two later, Messner was with him, too. It really appears from this account that he just did not want to be alone on that summit (even tho he would make the ascent alone a few years later). There was a sense of community in the expedition that I had not expected – not just between the climbers but also with the guides, without whom the expedition would have been impossible. Mount Everest tends to shrink in our imagination when we read it has been ‘conquered’ by a couple of hundred mediocre alpinists, who probably would not trust themselves to climb Mont Blanc without help; but then it grows again, if a half dozen of these trophy-hunters get themselves killed in the process, as happened in 1996 in the course of two commercial climbing trips organised by Rob Hall and Scott Fischer. Jon Krakauer has written a profound book upon the subject, Into Thin Air: A Personal Account of the Mount Everest Disaster. Despite this, the hordes came again the following year, and once more there were tragedies. We seem to have lost sight of the fact that humans cannot survive at heights approaching 9,000 metres. While more and more of us climb where we don’t belong, the accidents will go on increasing and, with them, because of them in fact, so will the desire to make such an attempt. Treading the footsteps of those before them, waiting in line at the Hillary Step below the summit, growing numbers of people clamber to heights that offer no retreat for the inexperienced when storm, mist or avalanche play havoc with fuddled brains. What makes Mount Everest so dangerous is not the steepness of its flanks, nor the vast masses of rock and ice that can break away without warning. The most dangerous part of climbing Mount Everest is the reduced partial pressure of oxygen in the summit region, which dulls judgment, appreciation, and indeed one’s ability to feel anything at all. With modern, lightweight oxygen apparatus the mountain can be outwitted, but what happens when the bottles are empty, when descent through a storm becomes impossible, when you can’t go a step further? An Everest climb cannot be planned like a journey from Zurich to Berlin, and it doesn’t end on the summit. In any sports shop you can buy, for a price, the lightest equipment there is, but you cannot purchase survival strategy. The client surrenders responsibility for him- or herself to the guide – and the higher the mountain, the more personal responsibility is yielded up, even though this is the basic prerequisite for any mountain experience. And what happens when the leader gets into difficulty? Clients are left hanging in the ropes on a mountain they neither know nor understand. This Everest is no longer the Everest of the pioneers. Increasingly the apex of vanity, it has also become a substitute for something the summit-traveller wants to flaunt on his lapel, like a badge, without taking any of the responsibility in the field. The more Mount Everest is turned into a consumer article, the more importance attaches to the key moments of its climbing history – with or without supplemental oxygen. As the highest mountain in the world – for trekkers, climbers, environmentalists, and aid workers (to say nothing of undertakers) – it is guaranteed more publicity than other mountain. Its mythos is continually being misinterpreted, so that it becomes a mountain of fortune and fantasy even for those with no need to go there themselves. For them, I tell this story of climbing ‘by fair means’.